C-N-C Turkey Choke "Order Table 5A, 5B, 5C & 5D"
~Includes any Remington gun not listed that has "RemChoke" choke. ~Includes any Remington gun not listed that has "ProBore" choke. Charles Daly - older over/under model has "Winchester" choke. Turkey Choke "Order Table 5A"
~Includes any Remington gun or other gun not listed that has "RemChoke" choke. Turkey Choke "Order Table 5B"
Turkey Choke "Order Table 5C"
~Remington Spartan guns have "TruChoke" chokes. 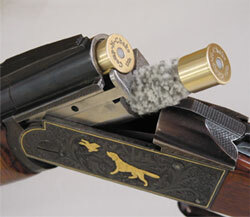 Turkey Choke "Order Table 5D"
~Charles Daly guns ( older over/under models ) use the Comp-N-Choke "Winchoke" chokes.